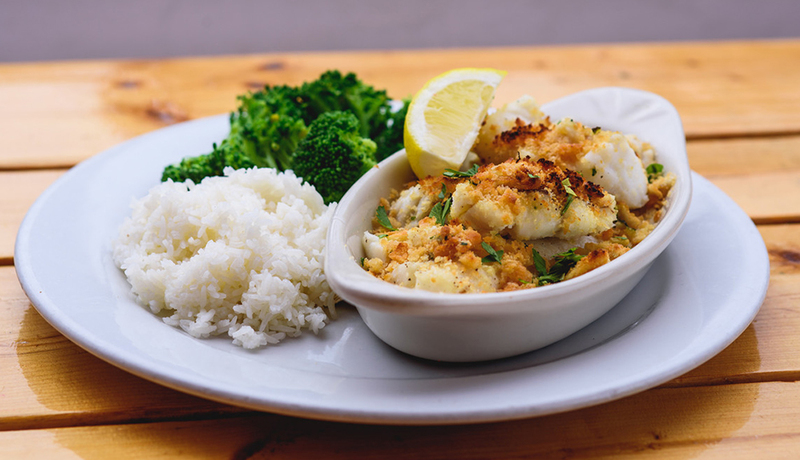 The Barking Crab’s buttered haddock is baked to perfection with coarsed breadcrumbs and Ritz crackers (yes, we are drooling too.) The fish is oven baked and then broiled on the pickup for some char marks. Served with a side of lemon, buttered jasmine rice and steamed broccoli. 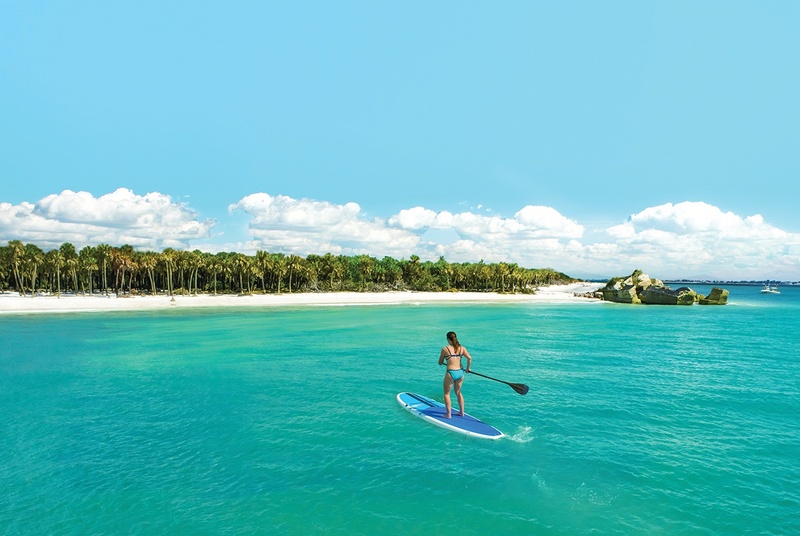 Perfect to share! 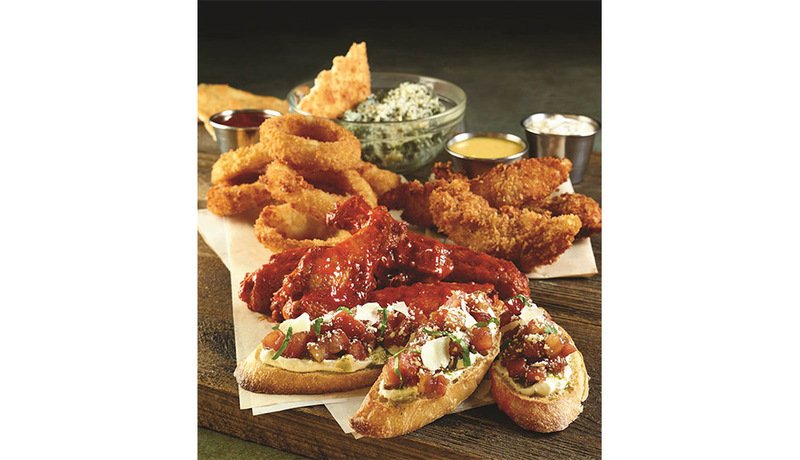 There’s something for everyone in Hard Rock’s Jumbo Combo – a collection of their most popular appetizer’s including; Signature Wings, Onion Rings, Tupelo Chicken Tenders, Southwest Spring Rolls and Bruschetta. Served with honey mustard, hickory barbecue and blue cheese dressing for dipping. 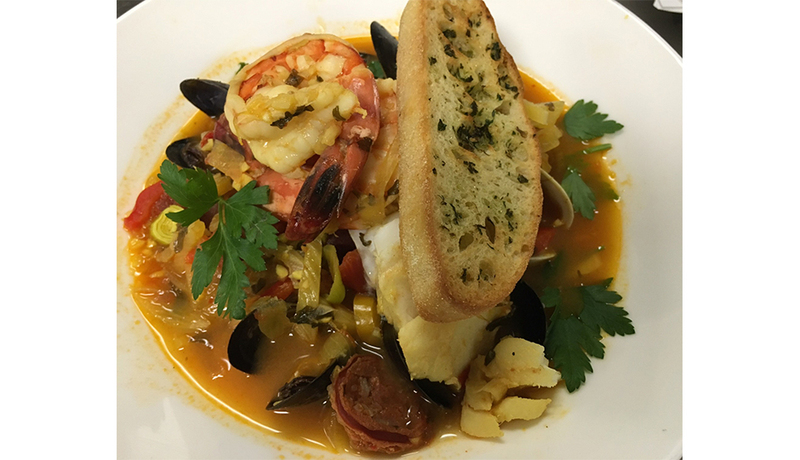 This classic seafood stew is known in a variety of versions. It is a hearty dish that’s low in fat, light but satisfying and flavorful. We are starting with a savory broth made with onion, garlic, bell peppers, tomato, fish stock and a hint of chili. This is done ahead of time to intensify and infuse the aromas. Next clams are added to the broth, releasing their juices while they cook. Mussels, Jumbo prawns and a local fish join, as well as potatoes, leeks, spicy chorizo and an ample amount of fresh flat leaf parsley. All together is slowly simmered until cooked through. Top of the Hub’s cioppino is served in a deep bowl. A thick ciabatta bread crostini, baked with garlic butter completes the dish and provides the means to savor the last bit of delicious broth. Indulging is easy and welcomed at Fleming’s this Holiday season. 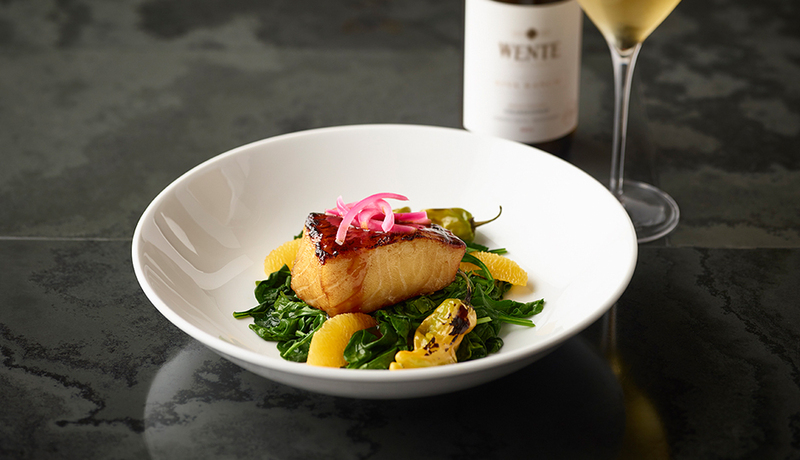 Enjoy a taste of their new Miso-Glazed Chilean Sea Bass nestled on a bed of spinach and arugula, accompanied by Shishito peppers and orange supremes. It pairs beautifully with Villa Maria Sauvignon Blanc. 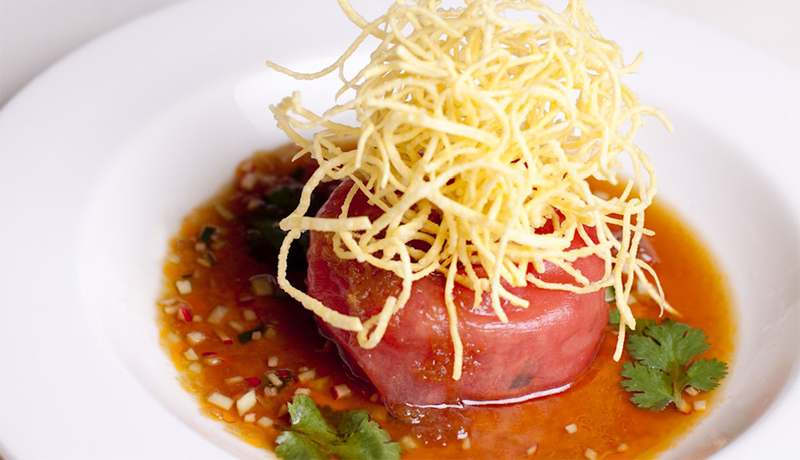 The Tuna Tartare, a classic first course at Mistral, has been a signature dish on their menu for years. The highest quality sushi grade tuna is paired with ginger and soy, and topped with elegantly arranged wontons. The flavors of the sauce highlight the freshness of the fish, and the wontons offer the perfect amount of crunch, contrasting the silkiness of the tuna. 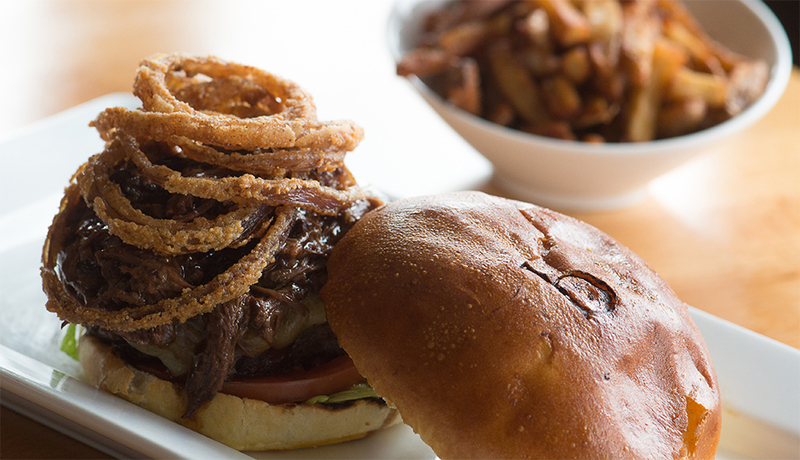 Trust us, this dish is a “must-try”.